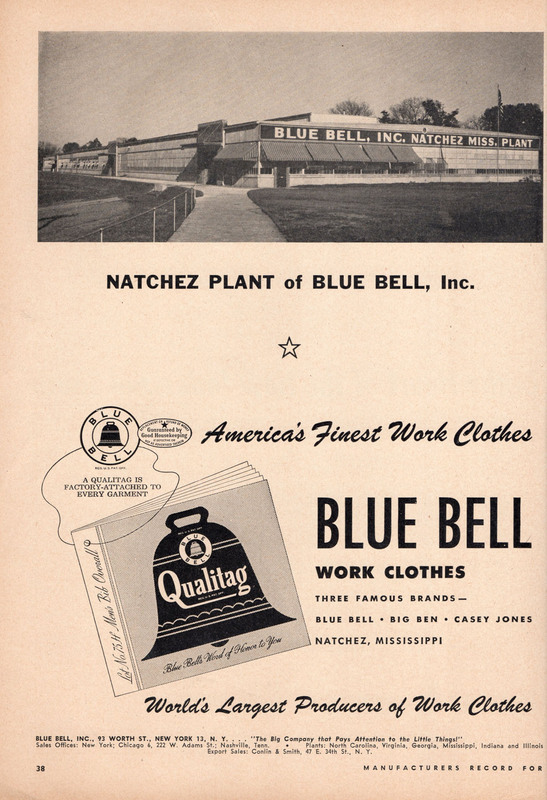 I had heard of the Blue Bell plant in Natchez, but until seeing this advertisement in the 1946 edition of Manufacturer’s Record, I assumed it was an ice cream company. The World Wide Web also informs me that Blue Bell (of New York City!) was the first manufacturer of Wrangler jeans. 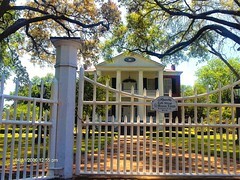 According to Mimi Miller of the Historic Natchez Foundation, the Blue Bell plant opened in 1939 and closed around 1955. The building was occupied for many more years by Holsum Bakery. 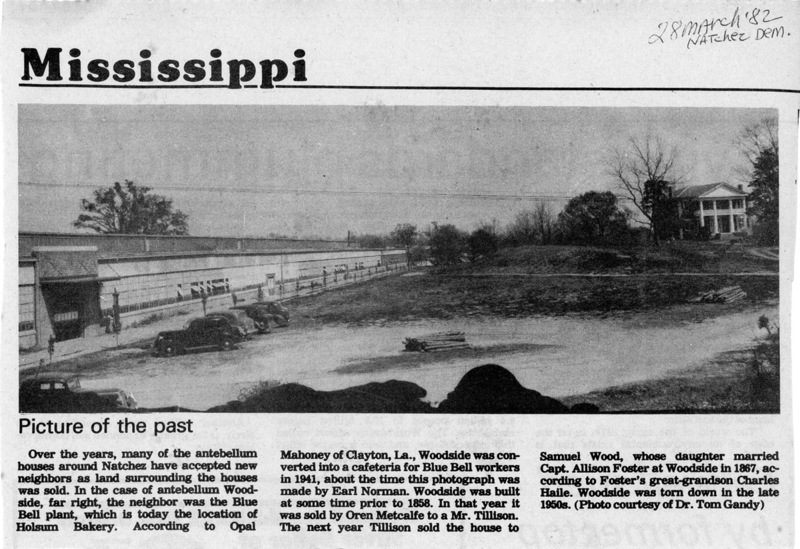 An Earl Norman photo published in the Natchez Democrat in 1982 shows that the antebellum suburban estate Woodside stood on the property and was used as a cafeteria for Blue Bell workers before being demolished in the late 1950s. 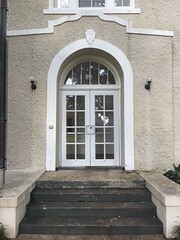 The building stood at the corner of Brenham Ave. and Aldrich St, and you can still see the footprint of its foundation near the center of this map. A friend who saw the previous posts from the 1946 Manufacturer’s Record as kind enough to send me the 1951 edition that focused on Mississippi. In this issue, 5 years on, the work of the Balance Agriculture With Industry program is clearly on display, with dozens of new factories to boast about. 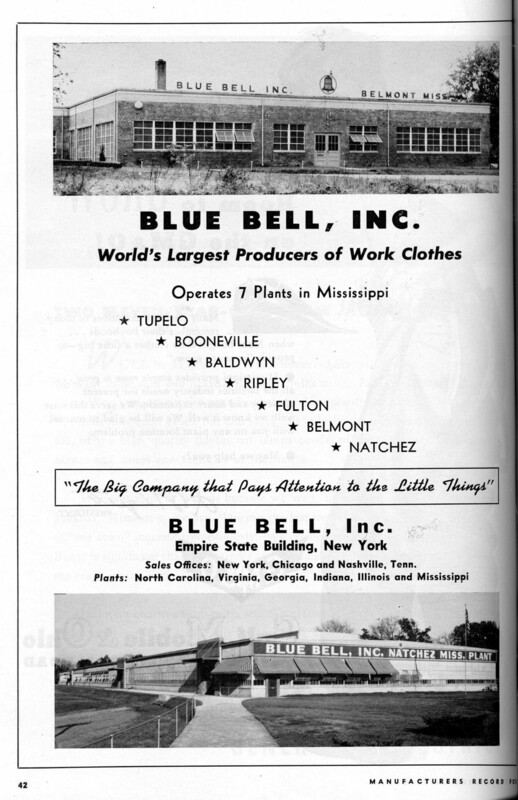 The Blue Bell advertisement in the 1951 issue shows that a little baby Blue Bell, way up in Belmont, in Tishomingo County, has joined the family, along with unpictured plants in Tupelo, Booneville, Baldwyn, Ripley, and Fulton, . I don’t know anything about the Belmont building, and nothing on Google Maps jumps out at me to tell me that it still exists. Maybe one of our Northeast Mississippi readers can enlighten us. Blue Bell operated a plant in Belmont, MS in the 1950s and 1960s. 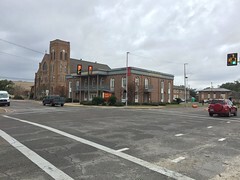 It was the major employer in the area and the plant was located in (almost) the center of Belmont on Mississippi Highway 25. Several hundred workers, many World War II and Korean War veterans and their wives cut, sewed, pressed Wrangler jeans and shipped them to the company’s distribution centers. On each Independence Day the company sponsored a picnic/barbecue for employees and their families and other guests. 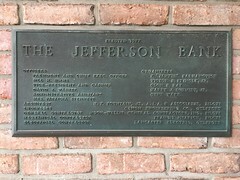 It was a great corporate citizen (until the day the closing was announced.) I had a temporary summer job in the late ’60s at Blue Bell’s Red Bay, AL, smaller plant located about six miles from Belmont. Pressing jeans on hot, humid Mississippi nights is not an ideal summer job but it paid minimum wage and did not interrupt daytime activities. When Blue Bell ended its Belmont operation the local economy suffered a tremendous blow and has really not yet recovered dynamic economic job market of the time. 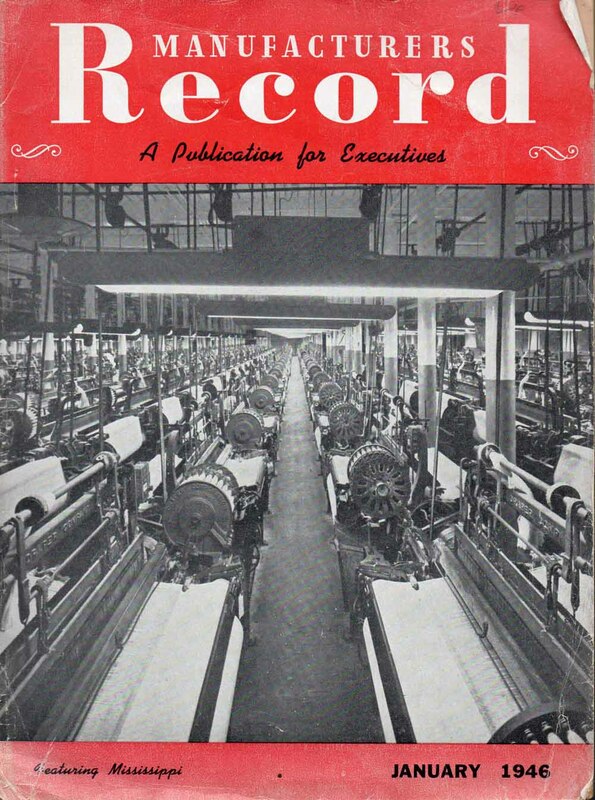 A smaller plant was also located in Tishomingo, MS. Other apparel manufacturers attempted to replace the Blue Bell plant but none lasted very long. Thanks so much for continuing this invaluable local information from around our state. I can remember blue bell in Belmont for a short time. 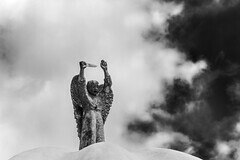 My grandfather was division mgr for several years until his death. My other grandfather retired with 30 years as a mechanic. All of my family was involved in the company up unit the vanity fair buy out. 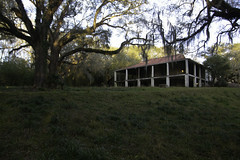 The plant still stands today and is housing wood industries. Thanks for pointing out Wood Industries as the successor to Blue Bell. I see they are located on Front Street, but I don’t see the one-story building that’s shown in the picture above? Is this building still standing or has it been demolished?